Steps and Stairs are necessary additions to a landscape design when changes in the elevation throughout the yard are made. They are often built within a retaining wall where there is a significant change in the ground level and it's not easy or safe move between two areas of a landscape anymore. They are also used in front of doorways and at the end of walkways. Like retaining walls, steps and stairs can be built from a variety of materials, such as concrete block and natural stone. They are often built from the same or similar materials of the other elements throughout the yard. 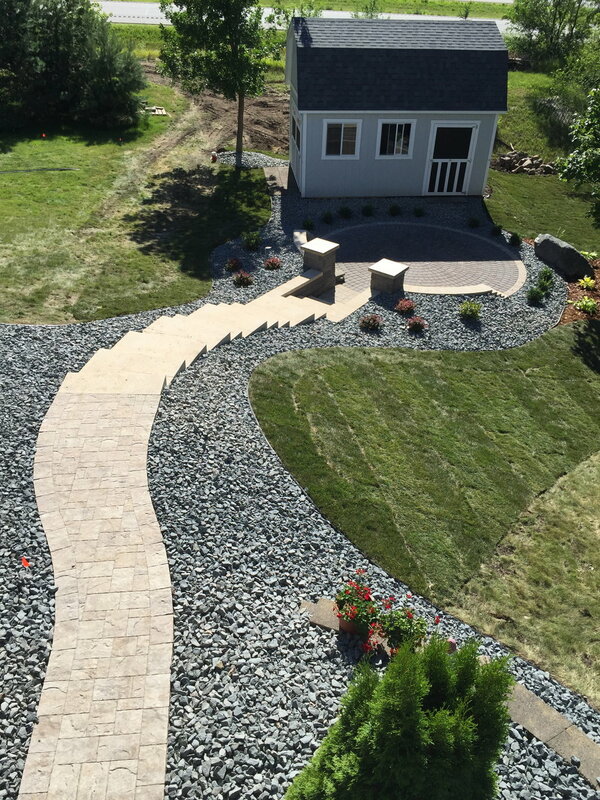 Whether it’s one step or a flight of 25 stairs, the team at Groundworks has the experience to build steps and stairs for your landscape that will withstand the test of time and continue to be safe and reliable for years to come.